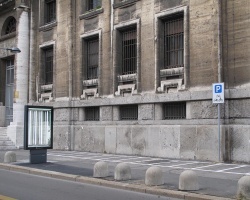 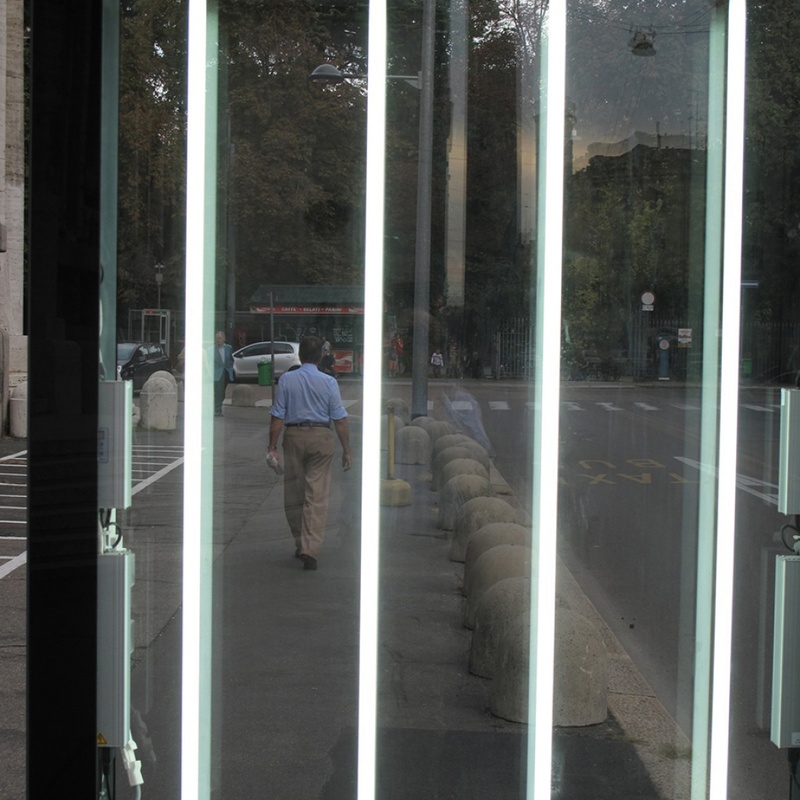 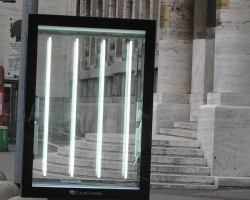 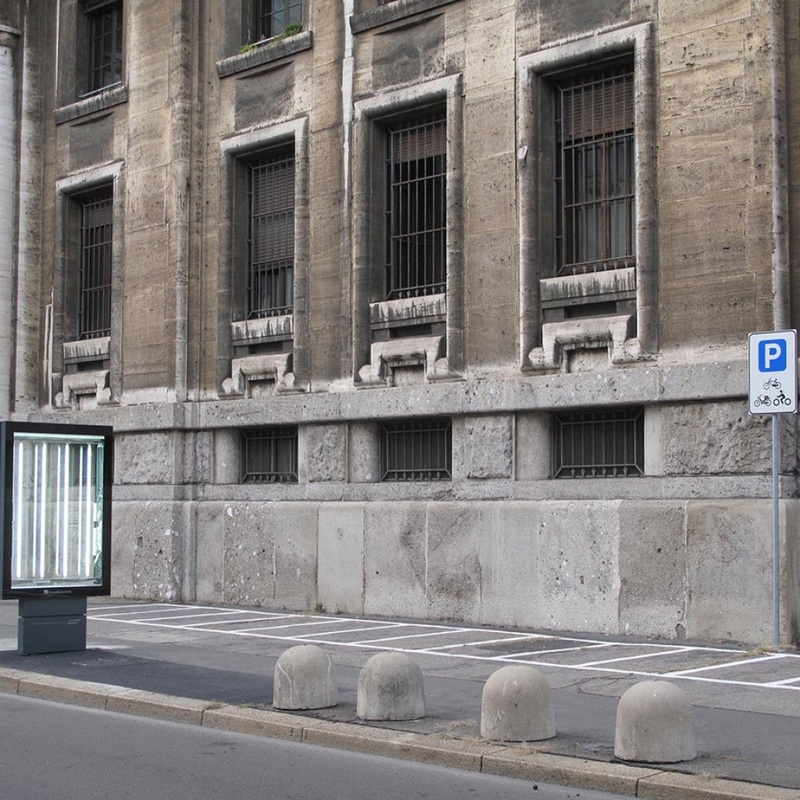 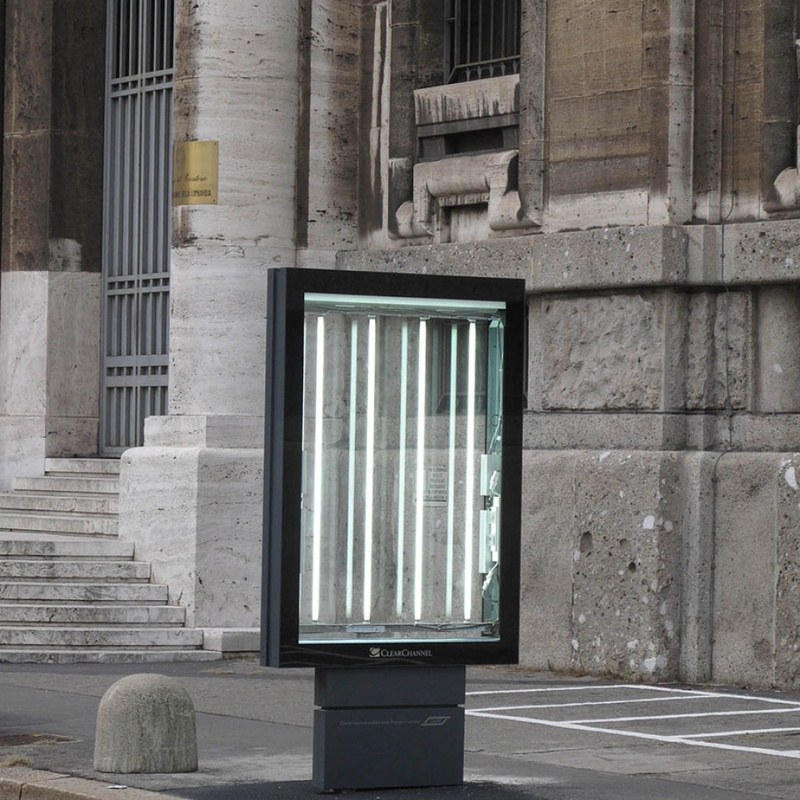 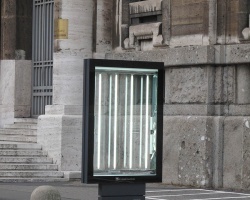 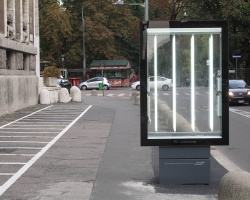 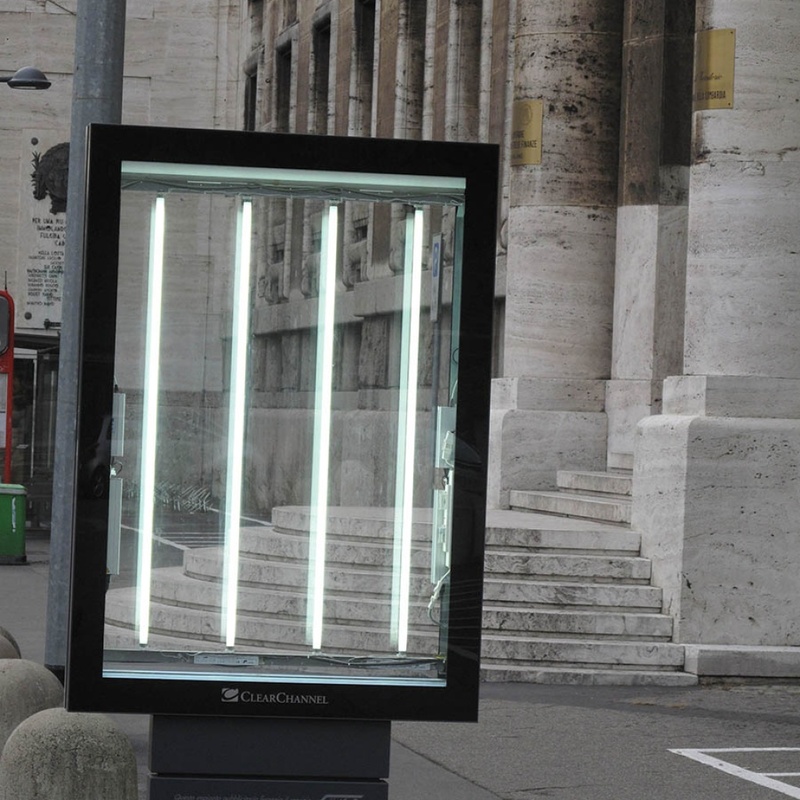 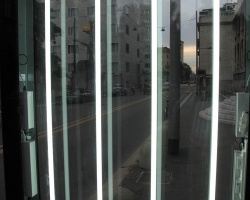 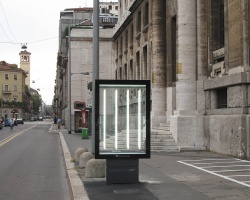 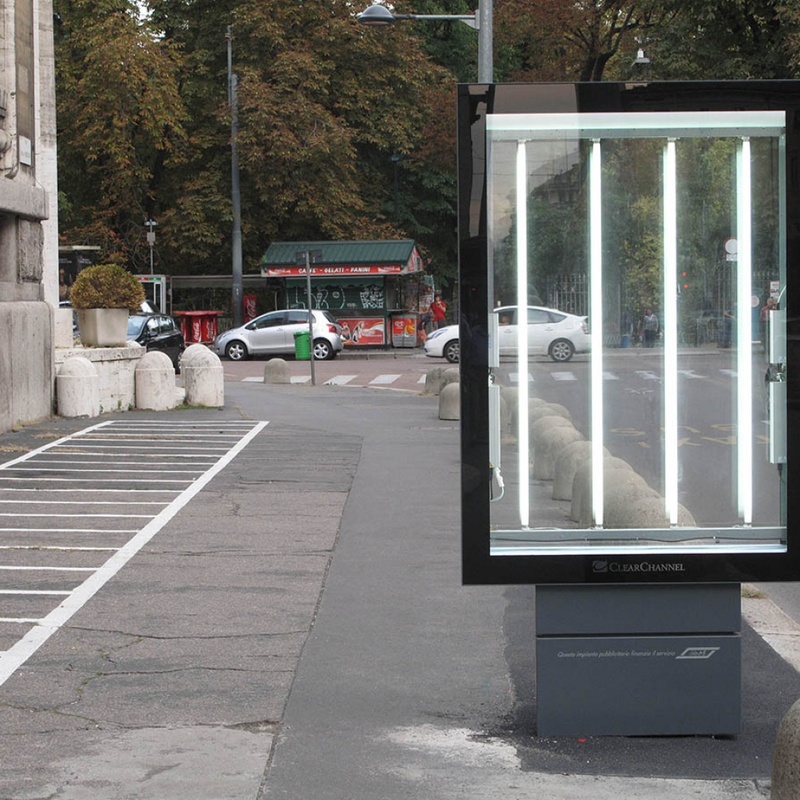 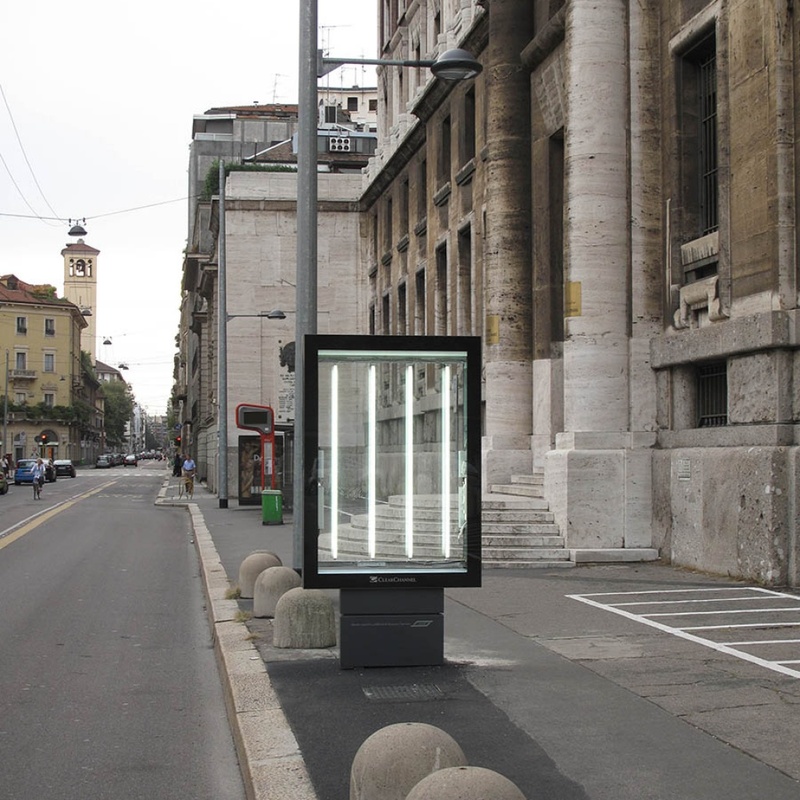 In 2009 the municipality of Milan made a deal with Clear Channel to install luminous totems in most downtown prime locations. 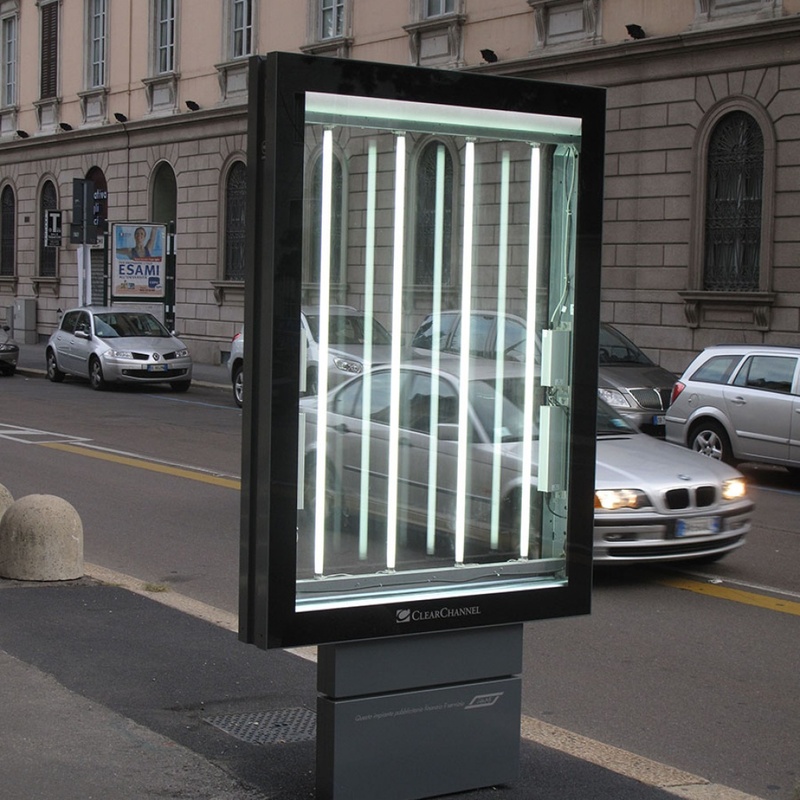 Not really a welcomed novelty, I thought, for we are already drowning into far too much street advertising. 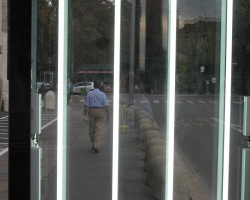 Nonetheless I saw a unique opportunity to attract the attention of hurried passers-by to neon abstract compositions set in an urban environment. 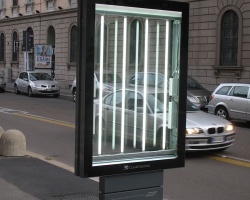 Luckily I was able to convince Clear Channel to hold two of its totems free of publicity for a couple of weeks. 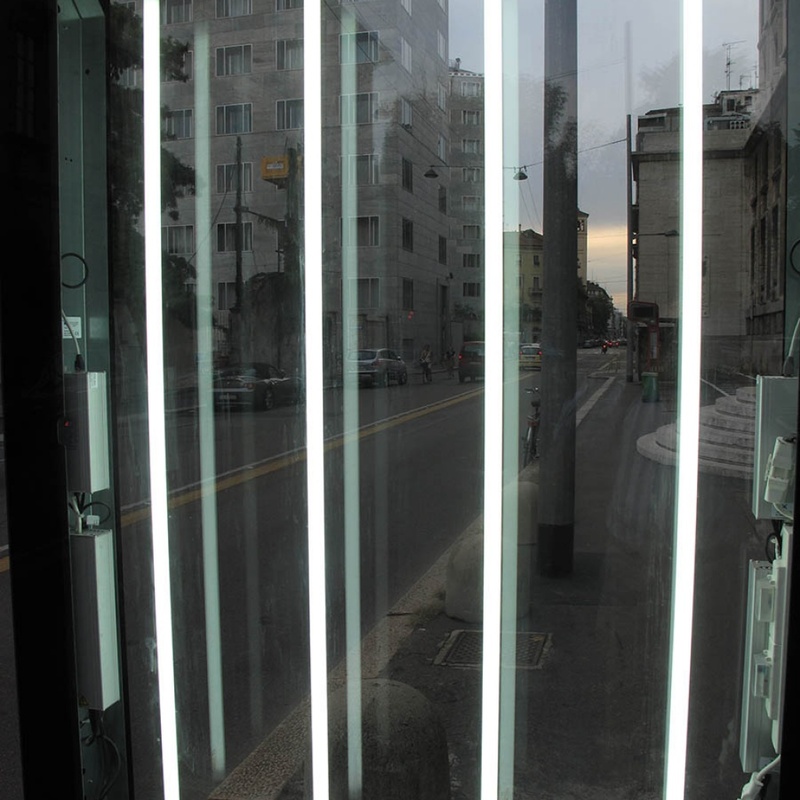 The resulting minimalist composition was fairly pleasant, with bright white tubes framed in a black rectangle, while sufficiently transparent to maintain an uninterrupted view of the overall urban scene.